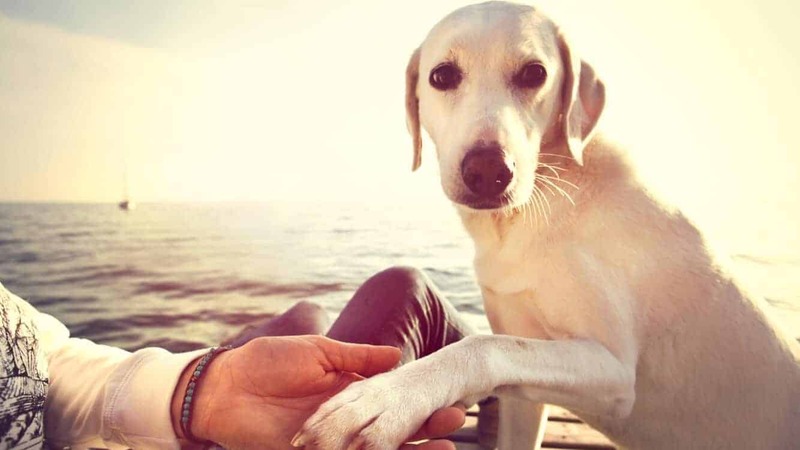 Most dog lovers and owners have probably asked themselves at one point: “How much does my dog really understand me?” Sure, they’re affectionate and loving – something can be ascertained from their behavior – but what about communication? What, really, goes on between a dogs’ ears when we talk to them? Well, researchers at Eotvos Lorand University (ELU) in Budapest, Hungary have answered that question in a groundbreaking new study. It turns out that our canine friends understand both the meaning and the intonation of the words we speak. In other words, dogs understand both the content of our words and their desired meaning. We’ll discuss this study and relevant discoveries. Dog lovers, prepare to be overjoyed! Attila Andics, the study’s lead scientist, and her colleagues at ELU wanted to examine the dogs neural activity to test how they understood communication. To do so, Andics and her team recruited 13 family dogs, mostly consisting of border collies and golden retrievers. Other species included Chinese crested dogs and German shepherds. To measure brain activity, the team opted to use an fMRI machine – a neuroimaging unit that measures brain activity via blood flow. These imaging devices are commonly used in hospitals that examine the brain. Researchers determined that the animals needed to remain stationary in the imaging machine for a minimum of 7 minutes in order to obtain sufficient measurements. Of course, dogs don’t naturally sit still for that long…especially in some weird-looking tube amongst strangers. To make this possible, the research team brought in trainers who then taught the dogs to remain still in the machine. Once the dogs were positioned inside of the fMRI machine, the team played a recording of their trainers voices. This recording included multiple combinations of both vocabulary words and intonation, including speech that was both neutral and adulatory (e.g. exciting or high-pitched). Perhaps most importantly, trainers mixed praise words and neutral words with a neutral tone or praising tone. For example, trainers said praise words with a praising tone and a neutral tone; likewise, they verbalized neutral words with a neutral tone and a praising tone. The point was to get a glimpse into whether or not dogs understood the intended meaning. Words are a human invention, and are rarely discovered – in any form – among other species. Certain species, such as the bottlenose dolphin, make certain noises that function similar to words, for example. However, the production of words, as the term is generally defined and understood, is thought to be limited solely to human beings. It wasn’t until this groundbreaking research that we found that dogs do the exact same thing. Great…so what does this mean? Well, in the simplest terms, this experiment proves that “Man’s best friend” understand human communication exceptionally well. In practical terms, it means that our dogs will often react to our speech depending on not only what is said, but how it is said. Much like humans, dogs assign the “value” of words (e.g. praise) according to the assigned meaning behind them. For scientists, this is a breakthrough study of the highest magnitude. “Our research sheds new light on the emergence of words during language evolution. What makes words uniquely human is not a special neural capacity, but our invention of using them,” says Andics. By the way, dogs are the only known species that understands human communication at such a level…perhaps explaining why they are indeed man’s best friends.